Amazon's all-new Kindle Paperwhite ebook reader has landed, but should you pick this latest arrival over the entry-level Kindle or premium Kindle Oasis? Amazon has released its latest Kindle ebook reader right in time for Christmas, with the new Kindle Paperwhite 2018 offering up a waterproof design and more room for page-turners than its predecessor. We’ve gone hands-on in our first look review. Kindle is still the biggest brand around in the world of ebook readers, and Amazon is hoping that a Paperwhite sale running this week will convince you to part with your hard-earned money. Below, we’ve rounded up the Amazon ebook readers to choose from if you’re shopping for a Kindle. We’ve also tested ebook readers from Amazon’s major rival – Kobo. The new Paperwhite sits neatly on the middle shelf of Amazon’s ebook reader range – the entry-level Kindle is cheaper, while the Oasis is the priciest option. If you opt for the Paperwhite 2018, you’ll get a 6-inch backlit display and a choice between 8GB or 32GB of internal storage. This ebook reader is waterproof, so if you take it on holiday it should survive a splash by the pool. Amazon has stuck an IPX8 sticker on it – that means that, in theory, it should withstand immersion in two metres of fresh water for 60 minutes. You might be tempted to pick up this Kindle while prices are lower than usual, but make sure you consult our Amazon Kindle Paperwhite 2018 first look review before taking the plunge. The cheapest Amazon ebook reader is the basic Kindle, which has a 6-inch display like the Paperwhite. This model isn’t waterproof, however, and the screen resolution is lower and not quite as crisp. You only get 4GB of storage on the entry-level Kindle, but that’s still enough for thousands of books. Find out if the basic Kindle has all the features you need in our Amazon Kindle review. 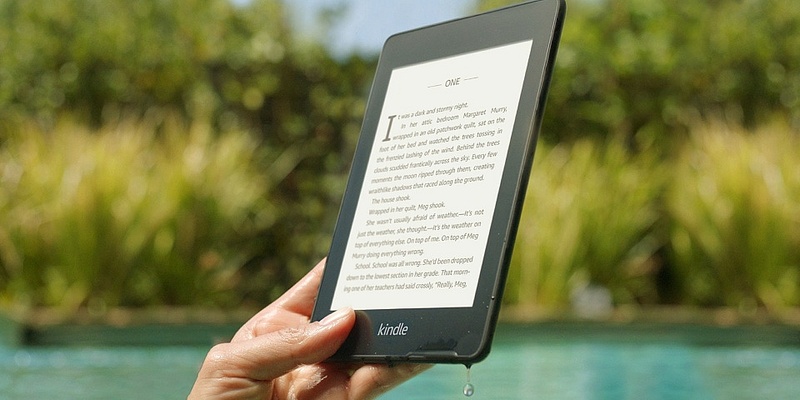 Amazon’s most expensive ebook reader is also its biggest – it has a 7-inch screen. Originally the only waterproof Kindle (before the new Paperwhite showed up), the Oasis has physical page-turn buttons to help with one-handed use. Is this the best ebook reader money can buy? Our full Amazon Kindle Oasis review has the answer. If you’re shopping for an ebook reader to gift this Christmas, the chances are you’ll end up debating whether or not to side with Team Kindle or Team Kobo. The cheapest Kobo ebook reader we’ve tested. This model has a 6-inch display and supports many ebook formats including ePub and PDF (but not Amazon’s AZW books). It has 4GB of memory. 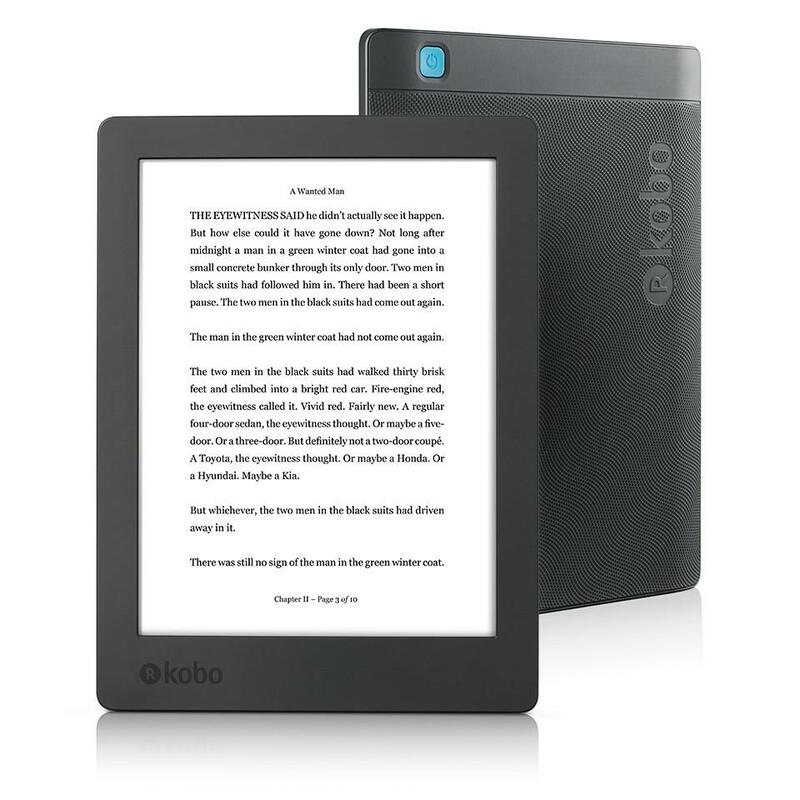 This Kobo has a large 7.8-inch display – the largest of any ebook reader on the market. It has 8GB of storage and features an ambient light sensor, which adjusts screen brightness based on the time of day. Like the Kindle Paperwhite 2018 and Kindle Oasis, the Kobo Aura H2O (below) is protected by a waterproof shell. It has a 6.8-inch screen. 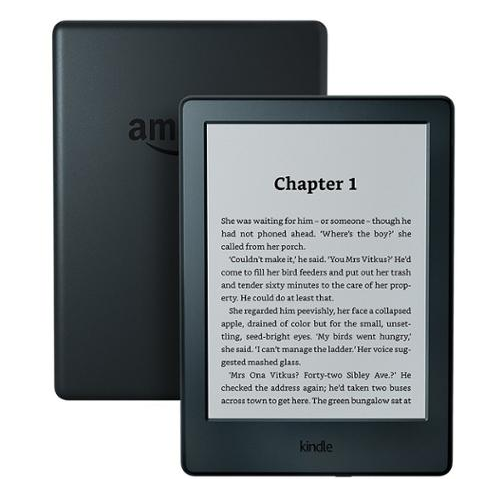 Should I buy a Kindle or a Kobo? The two big-name brands are closely matched when it comes to screen quality and performance in Which? tests, although one of these competitors just about edges ahead with a higher average test score. In terms of software, there are a couple of differences. While Amazon devices have the Kindle store pre-installed, Kobo has its own digital catalog. One area where you might see a difference is selection of books – both brands have their own store, so you might want to check that the favourites you’ll be looking to read are available, or which store has more of the types of books you’d be looking to buy. 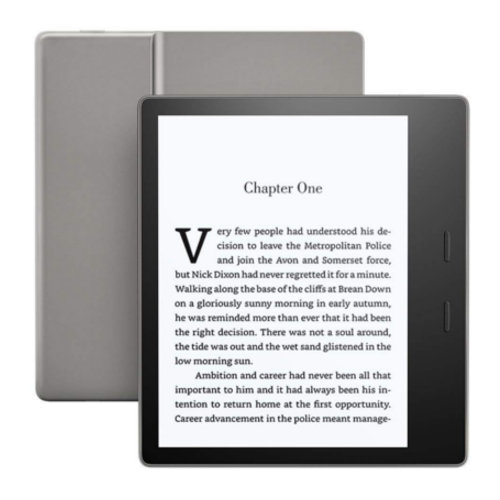 To find out more on the differences between the two biggest ebook reader brands around, see our advice guide on Amazon Kindle versus Kobo ebook readers. Alternatively, take a peek at our full range of ebook reader reviews.